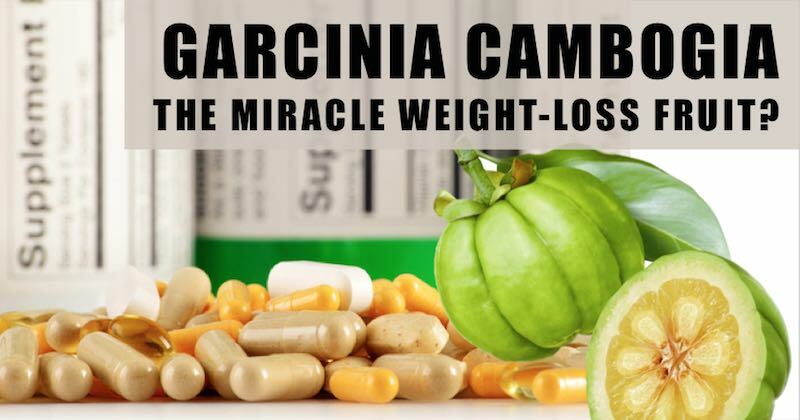 Garcinia cambogia: Is it really a weight loss miracle fruit? Weight loss supplements are notorious for producing negative publicity for the supplement industry. Manufacturers of these “miracle weight loss pills” really aren’t making them because they truly work and are a valuable part of a healthy lifestyle; they make them because they SELL! Make you reduce appetite, so that you feel full and eat less. Make your body reduce absorption of certain nutrients, such as fat, so that you take in fewer calories. Increase your fat-burning capability, so that you burn more calories. Garcinia cambogia became popular after being featured on the Dr Oz show in 2012. Garcinia cambogia (a.k.a. the Malabar tamarind) is a citrus fruit that grows in South Asia, particularly in India. An extract from the fruit rind, hydroxycitric acid (HCA), has been used for cooking and traditionally used to lose weight. Although most of these claims have not been backed by real studies, garcinia cambogia may have some merit. Still, as a health coach, I do not recommend nor encourage weight loss supplements. My personal stance is that weight loss can be achieved by eating right, lifestyle change and exercise. There are three major issues that users should be aware of. If you are on any type of weight loss supplements or contemplating buying garcinia cambogia, you need to understand these. Note: There may be ads on this page that display sale of garcinia cambogia, but it is not something that this website recommends. The ads are displayed by the advertisers, based on the topic we’re discussing on the page. Please ignore. Studies suggest that it’s possible that HCA found in garcinia cambogia can help lower a user’s appetite by increasing production of the neurotransmitter serotonin. What it does is to increase the happy and calm feelings, suppress appetite and cravings, and reduce the desire for comfort foods. An extensive review of the existing research on garcinia cambogia determined that there simply wasn’t conclusive evidence to suggest that the supplement or HCA had any effects on appetite and satiety. One study with 130 people compared garcinia cambogia against a dummy pill. There was no difference in weight or body fat percentage between groups. Research suggests that HCA works by blocking a certain enzyme that contributes to the formation of fat cells. Studies compared people who took garcinia cambogia extract to those who didn’t. The weight difference was very small (on average just about two pounds), but even that, they were not able to conclude that garcinia cambogia was directly responsible for those few pounds lost. Another 12-week, randomized, double-blind, placebo-controlled study found that the supplement didn’t help with significant weight loss or decrease in fat mass. Both the controlled and garcinia cambogia group were placed on high-fiber and low-calorie diets. Some evidence exists showing that garcinia cambogia can help control blood sugar. It improves how cells take up glucose (sugar) to be used for energy. It inhibits production of certain enzymes by the pancreas (unnatural) and changes how carbohydrates are metabolized. Although this process might possibly help your body respond to insulin better, it can also raise the risk for having low blood sugar levels (hypoglycemia) in some people. Individuals who have a history of blood sugar swings, are prediabetic, diabetic or are on insulin medications need to be aware of this. Hydroxycut has been around for more than a decade and is currently one of the most popular weight loss supplements. It contains several ingredients that are claimed to help with weight loss, including caffeine and a few plant extracts. If you are caffeine sensitive, you may experience anxiety, jitteriness, tremors, nausea, diarrhea and irritability. Green Coffee Bean are simply normal coffee beans that haven’t been roasted. They contain two substances believed to help with weight loss. Caffeine helps to increase fat-burning, while chlorogenic acid helps to slow the breakdown of carbohydrates in the gut. Some people may be allergic to green coffee beans. Other side effects are digestive issues from consuming these beans. Raspberry Ketones are a substance found in raspberries. It is said to increase breakdown of fat and increase levels of a hormone called adiponectin that is believed to affect weight. Green Tea Extract is a popular ingredient in many weight loss supplements. It is said to increase the activity of norepinephrine, a hormone that helps you burn fat. People who are sensitive to caffeine or tannin should avoid this. It also inhibits the absorption of iron in the body so people who are anemic must not take any supplements that contain this extract. Bitter Orange/Synephrine is a type of bitter orange that contains the compound synephrine. Synephrine can reduce appetite and is reported to increase fat-burning. There may be serious side effects related to the heart, from consuming this supplement. Although some people claim that they don’t experience any side effects from using garcinia cambogia and other weight loss supplements, toxicity and adverse effects may not be immediately apparent. They lay low and deep in the body, waiting for a “trigger” and you may not even know what the problem is when you have an issue a few years later. Many weight loss supplements pose potential hidden dangers that are associated with liver toxicity and liver injury. In the case of garcinia cambogia, many manufacturers recommend taking high doses multiple times per day for weeks at a stretch. The use of weight loss supplements is very common in the US. Most common weight loss supplements contain substances that “speed up” your metabolism but their uses have not been shown to be effective nor safe. Stimulants can be particularly dangerous for people who have a heart condition, high blood pressure or are on any kind of medication. Loading up on stimulants may make the user feel good and energized momentarily, and then the inevitable crash. Unfortunately, there is really NO supplement nor pill that can work well for weight loss. They may give you a temporary nudge to lose some weight, even many pounds, but they will all come piling back. Why? Because they cause liver toxicity! In order to lose weight permanently, you need to deal with cleansing the liver by eating clean, and stop eating foods that cause liver toxicity.